Soweto TV is on a search for sports reporters and anchors to join their broadcast team and they're holding open auditions for a day. 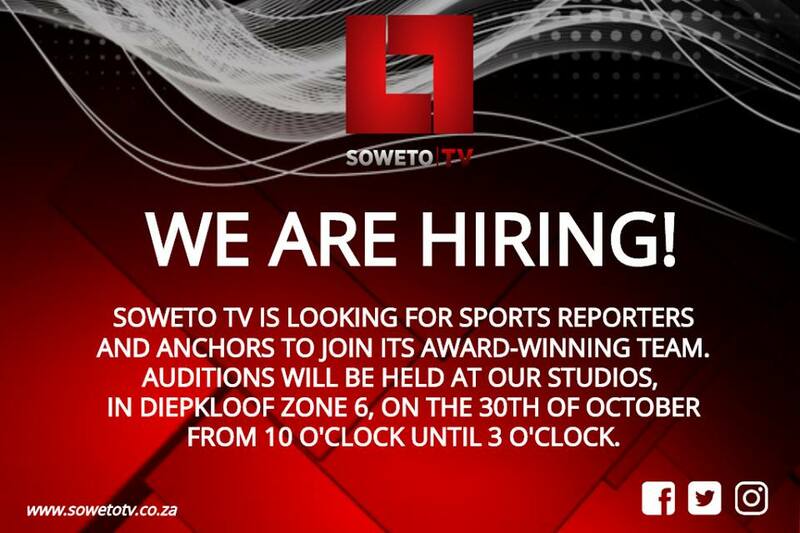 A relevant Television, Journalism or Sports Management qualification is an advantage. Excellent knowledge of Sports is compulsory. Minimum 2 years journalism experience. Drivers licence and own vehicle, compulsory. The auditions are happening on Tuesday, 30 October 2018 from 10h00 to 15h00, 1st Floor, Black Chain Centre, Corner of Patrick and Chris Hani Street, Diepkloof, Zone 6, Soweto.